IOS App Developer: TipRanks Ltd. I can easily justify $10 a month for this App. 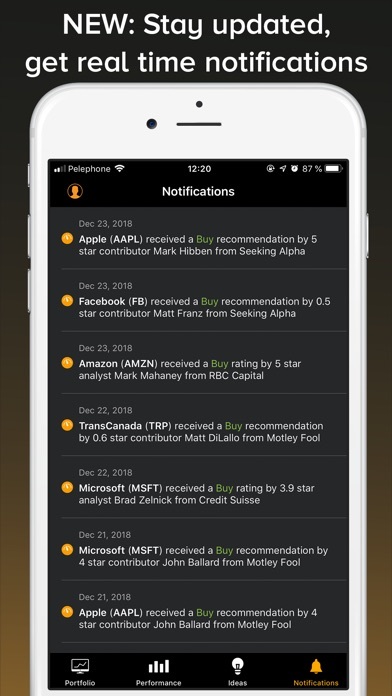 The ability to see analyst ratings, follow analysts, see Price Targets and see which stocks are ‘on the move; is a perfect tool for a swing trader like myself. My only recommendation: Try integrating more analysts into the system. Sometimes a stock has no analyst ratings and other times the analyst hasn’t posted anything in 10-15 days. Other than that I like it a lot. 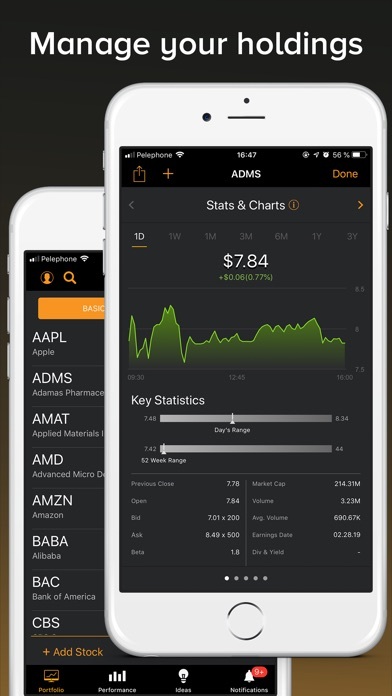 The app is a great start with tremendous upside. It runs smoothly and didn’t notice any bugs. The app is only about a year old so I’m sure as with any reputable business the app will be improved upon. Just look at the support in these reviews, they are very responsive. Great start! 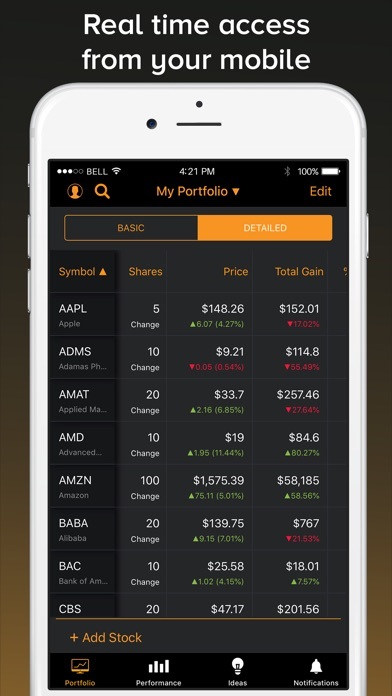 great trading/investing app! 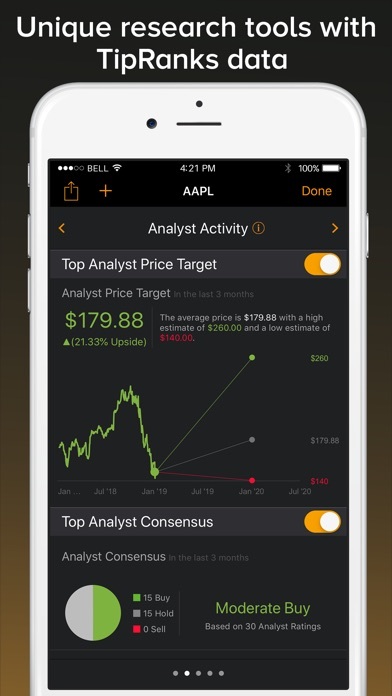 Very detailed and organized app that helps me and others with ideas as well as tanking my portfolio with others. I rate it a 4 star. It works well and runs well on the IPhone 6 which I am using. It tended to crash a few times but other then that it worked great. This app has lots of potential. Paid the $10 and still can’t access anything. It keeps telling me to upgrade. I want my money back. 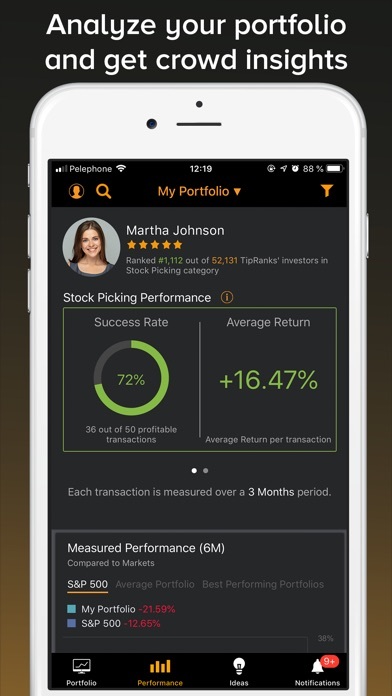 I have finally found what I've been looking for in a trading/investing app! 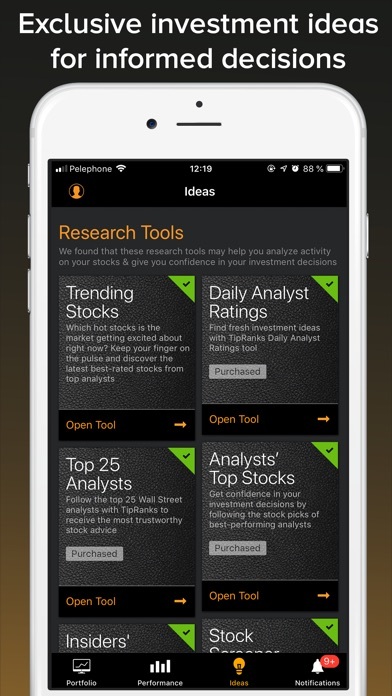 It's a very detailed and organized app that helped me with ideas as well as ranking my portfolio amongst the other users. I have made it to 4 stars!! As an Ultimate subscriber of TipRanks I love what the company offers through their website. A broad range of features for $50/mo. means one good tip easily pays for a year or more of the service. The app, however, is quite disappointing. An inability to even use it in landscape view demonstrates just how lacking it is. One needs a clean, efficient way to screen through all the data the website offers, but in an optimized-for-the-ipad layout. Please work fast to get us a real iPad app!! More IOS Apps by TipRanks Ltd.